Our Programme is now working in partnership with High Schools! Working within the school has eliminated many of the barriers that made access to our programme difficult when it was run offsite on a weekend. Students are now able to access the programme much easier which has meant that more are able to take part. Steps for Life was developed in 2010 to take a proactive approach to reducing the rate of obesity among our youth but having seen first hand and listening to our youth the magnitude of this epidemic encompasses so many other issues they face - anxiety, depression, lack of self worth, drugs and alcohol to name a few. 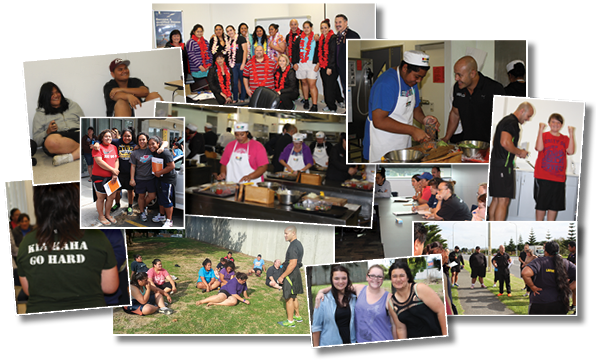 Steps for Life has now evolved and takes a holistic approach to the general health and well being of young New Zealanders through a 10 week programme. It provides the knowledge and tools required for our youth to live happier, healthier lives. 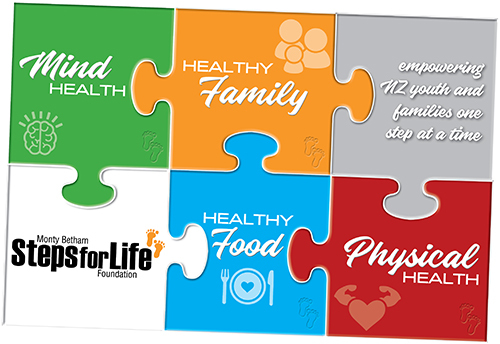 Steps for Life takes a holistic approach focusing on the four key areas that fit together like a puzzle. If one piece is missing the puzzle is incomplete. This whole-person approach provides a big picture of overall well-being and gives you the opportunity to be a healthier you. Participants are required to attend all sessions. Parents or Guardians (who must live in the same household) are required to attend four sessions over the course of the term. These are preset sessions and the dates will be given well in advance. Week day sessions are fitness sessions with a qualified and approved SFL trainer. Participants need to ensure they wear appropriate gear to exercise in. One week day session also has an in-class workshop component after training. NOTE: Once accepted into the programme, participation and commitment is mandatory. Failure to attend sessions may result in removal from the programme. When am I required to attend? Two sessions per week after school for the course of a term. The programme is run during the course of a term and requires students to attend two weekly after school sessions each week within school facilities. Parents are welcome to attend workshop sessions but will only need to attend four set sessions over the term period. NOTE: Parents will be notified of these sessions well in advance and are expected to attend them as a programme requirement. PLUS take part in a guided supermarket tour AND take part in interactive cooking sessions! We are currently in discussions with schools for programme participation in 2019. 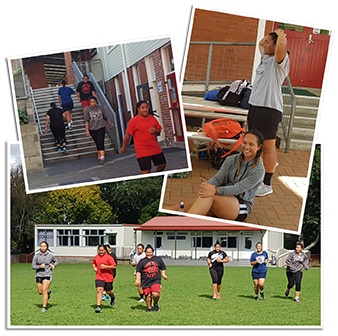 If you are interested in having the programme run at your school please contact info@stepsforlife.co.nz or phone 09 634 3593.